Today I'm so excited to have Julie from the amazing blog Julip Made here to post about something every girl needs: essential kitchen items. I love reading Julie's blog and fantasizing about whipping up great meals every night, and appreciate that she posts simple but impressive recipes that any of us could recreate. Please go pay her a visit when you're done here and then resist the urge to grab a snack because you'll be hungry. 1. Chef’s Knife- The workhorse of the kitchen, this is probably one of, if not the most useful tool and one item that you should definitely not skimp on. Several things to keep in mind when picking out your chef’s knife: material (Japanese harder alloys versus German high carbon stainless steel), length (8”-10”), weight, and tang (the extension of the blade into the handle, which can provide strength and balance). My advice would be to actually go to the store and test out the feel of the knife. How the knife feels and how you hold the knife can really make a difference in the speed as well as comfort, especially when prepping lots of food. 2. Cutting board with grip- A good cutting board with grips can make prep work go more smoothly and help eliminate injuries caused by your cutting board shifting. I’d also recommend getting at least two different colors of cutting boards (red for meats, other for veggies) If you don’t have a cutting board with rubber grips, place a damp dish towel beneath the cutting board so it doesn’t slide on the counter. 3. Microplane (grater/zester) - This tool is a secret weapon in the kitchen used for adding flavor to a dish. It can be used to zest citrus fruits, grate nutmeg for some spice, or grate cheese. I especially love using lemon zest to add flavor instead of using such a heavy hand with salt. 4. 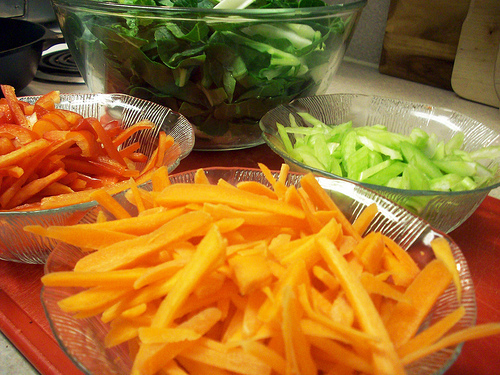 Mixing and Prep Bowls- One of the first things we were taught in my culinary class was to keep an organized “mise en place”. This means to pretty much get all of your tools and ingredients set up and prepped before you cook so that while you are actually preparing the meal you aren’t running around the kitchen like a crazy person. Mixing and prep bowls are essential to this process. 5. Food Processor- This is a great tool for expediting food prep and can be used to: slice and dice veggies; grind meats, spices, and nuts; and shredding meats, veggies or cheeses. 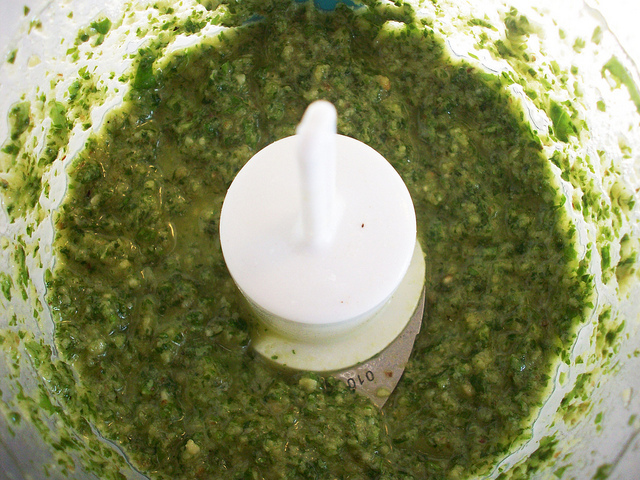 The food processor can also take the manual aspect out of tasks such as mixing or kneading doughs, and grinding sauces or spreads such as pesto or tapenade. 6. Cast Iron Skillet- Another workhorse of the kitchen, because of its heat retention and diffusion properties, the skillet can be used for searing, frying, sautéing, stewing, and braising. 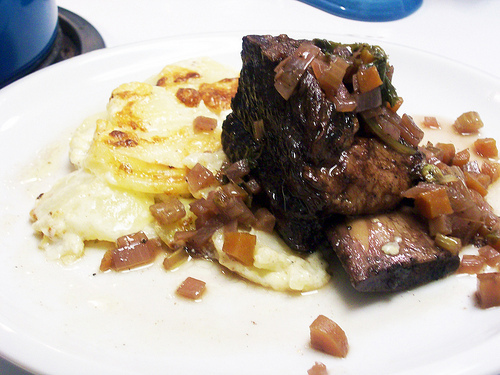 It can be used on the cook top, in the oven, or a combination of both. 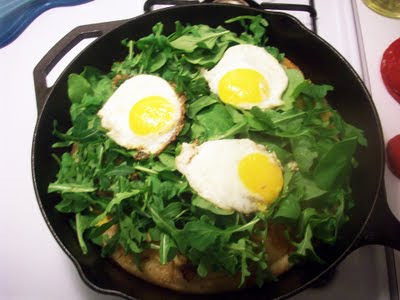 My favorite, more recent discovery is to use the skillet to create delicious deep dish pizzas. 7. Dutch/French Oven- Also made out of cast iron, but covered in enamel, the Dutch or French Oven has the same heating properties as the skillet, but its deeper sides and lid make it more useful for stews, braises and sauces. It also can be used on both the stovetop and the oven, making it a multi-purpose tool. 8. Tongs- A relatively overlooked tool, tongs are a very useful tool and can be used for everything from turning meats in the pan, tossing salads, turning hot dishes, tossing veggies in the sauté pan, removing items from boiling water, and plating your cooked ingredients with accuracy. There are many different types of tongs out there, but my favorite are the standard metal scalloped restaurant tongs pictured above. 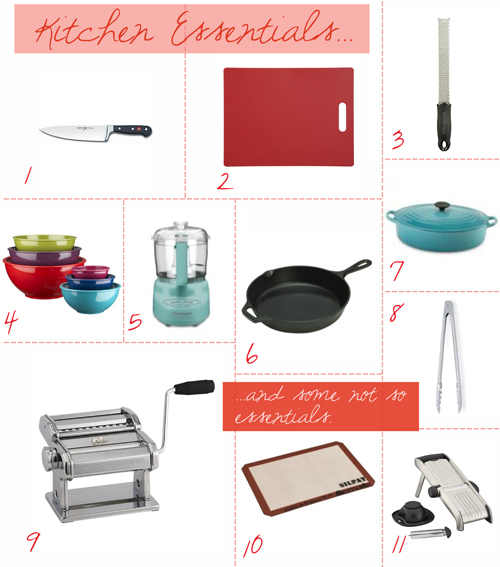 As a foodie, my birthday and Christmas wish lists are often filled with kitchen tools, cookbooks, and appliances, most of which are definitely not essential for the kitchen. Like I said before, you really only need a few basics to make great food, but of course there are some fun tools to experiment with. 9. Pasta Roller- Pasta is obviously a very accessible ingredient with most grocery stores even offering fresh pasta varieties. However, in my opinion, if you have the time and equipment, home-made pasta is far superior in flavor and texture. You can also play around with various flavorings and colors that really elevate your dish to the next level such as squid ink, beet juice, black olive, or wasabi pasta. 10. Silpat Mat- Although not essential for baking, the silpat mat is a non-stick backing mat that also helps to insulate whatever you are baking from burning, helps cookies form their shape, and can even be used for frozen objects. 11. Mandoline- The mandolin can help if you are looking for very precise and even prep cuts such as various juliennes, crinkle cuts, or waffle cuts. These can really add to the presentation of salads, beautify fried foods, and create pretty garnishes. I hope this can help you all get started in the kitchen and stop by Julip Made if you want more recipes - including cocktail recipes ! Thank you again Haley for having me! Thanks so much for stopping by, Julie! I am happy to know that I only have a few more essentials left to buy, but definitely could use the ones I have more effectively. If any of you would like to participate in this series, shoot me an email and let me know - I love meeting new bloggers! Please note that this series is intended to offer exposure to other independent bloggers - no companies, please. What I would give for a pasta roller! Love Julie!! I need a pasta roller! This is a great list of essentials. Thank you all for the sweet comments and thank you again Haley for having me over in your corner of the interwebs today! Fabulous list and I agree with all of them. Love Julie and she always posts the most delicious recipes. another great post in this series! love it! am also pretty pleased with myself as to how many of these have, tho how often i use them is a whole different story. =) also, all those meals look delicious! I feel like such an adult as I have most of these! I was amazed at how useful my cast iron pan is--I use it to cook so many proteins now. I also do think good knives make a huge difference. I more frequently choose a santuko over a chef's knife, but do agree that they are the best knives to have in terms of choosing a quality one.